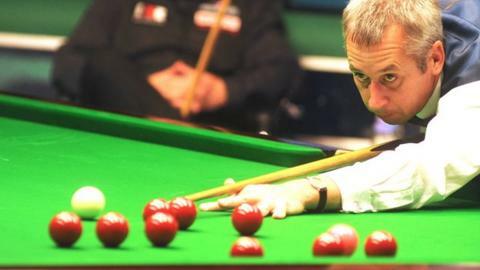 Nigel Bond has won the World Seniors Championship for the first time in his career. Bond, who still plays on the main tour and is ranked 45 in the world, beat Tony Chappel 2-0 in the final and did not lose a frame in the two-day event at Portsmouth's Mountbatten Centre. The Derbyshire star beat Dennis Taylor, Tony Knowles and defending champion Darren Morgan en route to the final. "It is a great feeling," said the 46-year-old. "It's been a great weekend." Both finalists had to come through qualifying and former World Championship finalist Bond took a close first frame 68-54. Bond added: "I think I played a bit scrappy on Saturday and only really got going in the second frame against Chappel but then I felt I got into a nice rhythm. "I was playing great on the practice table but sometimes it is not always easy to put it out there on the match table."